2009 ( GB ) · English · Romantic · G · 77 minutes of full movie HD video (uncut). 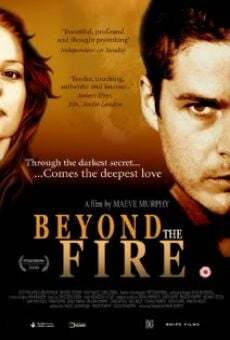 You can watch Beyond the Fire, full movie on FULLTV - With producers of UK, this 2009 film was directed by Maeve Murphy. You are able to watch Beyond the Fire online, download or rent it as well on video-on-demand services (Netflix Movie List, HBO Now Stream, Amazon Prime), pay-TV or movie theaters with original audio in English. This film has been premiered in theaters in 2009 (Movies 2009). The official release in theaters may differ from the year of production. Film directed by Maeve Murphy. Produced by Colin McKeown, Sanjiv Pahwa, Helen L. Alexander, Frank Mannion, Donall Murphy, Victoria Aitken, Pauline Murphy, Scot Williams, Chris Atkins, Maeve Murphy, Luke Montagu, Richard Yetzes, Dean Silvers, Marlen Hecht, Paul Kelly and David Game. Screenplay written by Maeve Murphy. Soundtrack composed by Colm Ó'Snodaigh and Neel Dhorajiwala. Commercially distributed this film: IndieFlix, British Broadcasting Corporation (BBC), Pretty Pictures, Met Film Distribution and TV3. Film produced and / or financed by Playing With Fire, Swipe Films, Met Film and UK Film Council. As usual, the director filmed the scenes of this film in HD video (High Definition or 4K) with Dolby Digital audio. Without commercial breaks, the full movie Beyond the Fire has a duration of 77 minutes. Possibly, its official trailer stream is on the Internet. You can watch this full movie free with English subtitles on movie TV channels, renting the DVD or with VoD services (Video On Demand player, Hulu) and PPV (Pay Per View, Movie List on Netflix, Amazon Video). Full Movies / Online Movies / Beyond the Fire - To enjoy online movies you need a TV with Internet or LED / LCD TVs with DVD or BluRay Player. The full movies are not available for free streaming.